A dark goose with a white head, this species breeds near the coast in the Arctic tundra and winters in family parties on rocky shores and islands. It feeds on a mixed diet that includes green plants, seaweed, and shellfish. • NEST A hollow lined with down and moss. • DISTRIBUTION Breeds on coastal tundra of Alaska and N.E. Siberia. Winters as far south as W. USA and Kamchatka. 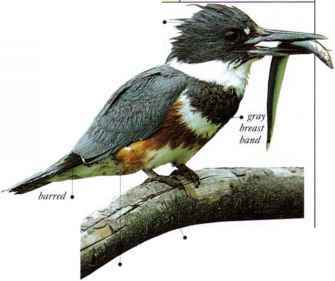 • REMARK The head and neck are sometimes stained orange by iron salts in the water in which the birds dip for food.